Here’s a stack of mostly horror titles that have been inching their way into my dreams! It’s a solid mix of public domain novels (and collections) along with brand spanking new series and standalones. 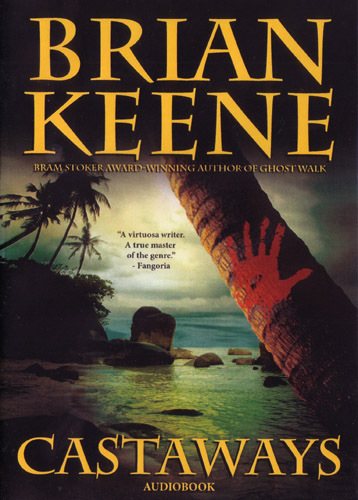 Check out Brian Keene’s modern horror tale, Castaways (its at the bottom). Keene writes comics, it may be the best place to start with the modern stuff! 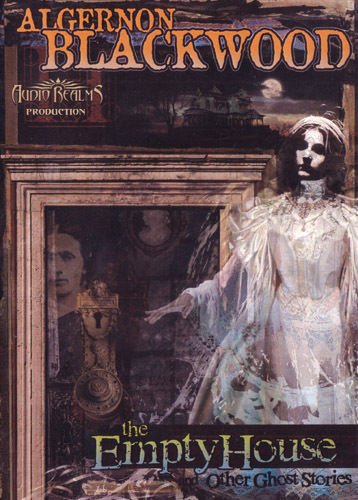 With regards to the PD material, I’m torn between People Of The Dark, which includes my favorite Conan story Queen Of The Black Coast, and Algernon Blackwood’s The Empty House And Other Ghost Stories. All of these titles should also be available in MP3-CD editions and MP3 download editions via TheAudiobookShop.com too. 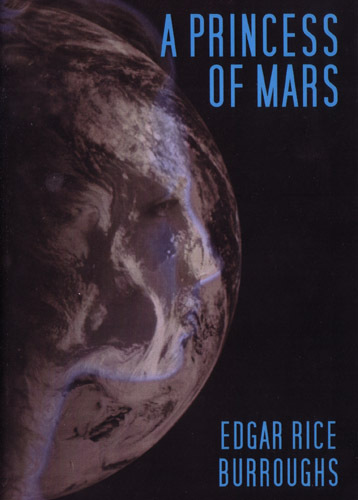 Ex-confederate army captain John Carter finds himself unwittingly transported to Mars, while fleeing Apache Indians. This new world is populated by a race of monstrous Martians, whose culture is based on the ability to fight for their race. Fortunately, the gravitational difference between Mars and Earth has given him the strength that he will need for survival.on this hostile planet. John Carter battles ferocious Martian creatures, but gains the respect of the beautiful Dejah Thoris, Princes of Helium. This is the first of eleven in the ‘Mars’ series. From the towers of Manhattan to the jungles of South America, from the sands of the Sahara to the frozen crags of Antarctica, one man finds adventure everywhere he goes: GABRIEL HUNT. 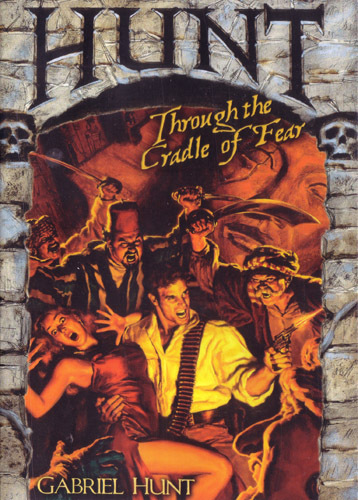 Backed by the resources of the $100 million Hunt Foundation and armed with his trusty Colt revolver, Gabriel Hunt has always been ready for anything – but is he prepared to enter… The Cradle Of Fear? When a secret chamber is discovered inside the Great Sphinx of Egypt, the mystery of its contents will lead Gabriel to a remote Greek Island, to a stone fortress in Sri Lanka … and to a deadly confrontation that could decide the fate of the world! 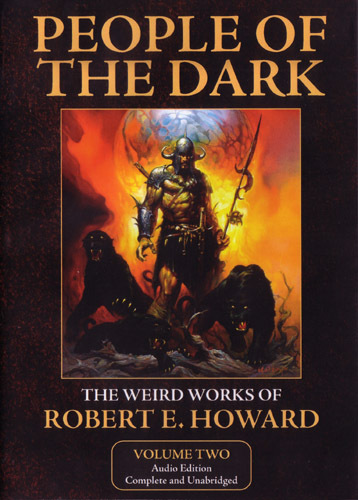 People Of The Dark is the second volume of The Weird Works Of Robert E. Howard presented in audiobook form. 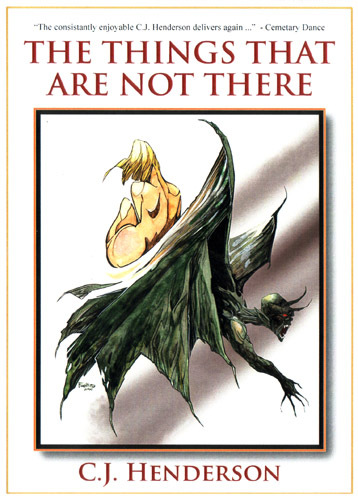 It continues to offer many of Howard’s works from the classic magazine Weird Tales meticulously restored to it’s original texts. 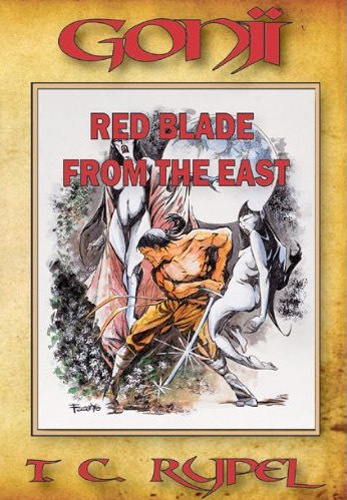 This volume contains;People Of The Dark, Queen Of The Black Coast, The Garden Of Fear, The Haunter Of The Ring, Valley Of The Worm, The Challenge From Beyond and includes some of his famous heroes such as Conan. Most connoisseurs of modern horror fiction rate Algernon Blackwood (1869-1951) as the finest horror writer of all time. Blackwood was unsurpassed in originality, atmosphere, and characterization. His finest works still surprise and shock today’s readers. The Empty House And Other Stories, originally published in 1906, was Blackwood’s first collection. It includes such classics as the title story, A Haunted Island, A Suspicious Gift, and many more. Cast out from his Japanese homeland, Gonji, the Samurai warrior, journeyed across barbaric Europe in the quest of Vedun, the distant city in the loftiest peaks of the Carpathian Alps. Ceaselessly fighting the hated plague and hostile peasants, Gonji struggled to reach the mighty walls of majestic Vedun. But demons and dragons, and mages and monsters pursued the warrior across the wintry plains and the jagged mountains. His swords flashing with fury, Gonji battles his foes and strengthened his will, determined to conquer his hardships, and fulfill his destiny! Apparently this is the first in a series, perhaps something along the lines of Jim Butcher’s Dresden series? Private detective Theodore London ran the best agency in New York City until a demon-driven storm trashed his operation. Ready to quit the business, fate delivered a beautiful woman to his doorstep—one being pursued by an army of winged monsters determined to use her as the key to unlock a doorway that will lead the world to madness. They came to the lush, deserted island to compete on a popular reality TV show. Each one hoped to be the last to leave. Now they’re just hoping to stay alive. It seems the island isn’t deserted after all. Contestants and crew members are disappearing, but they aren’t being eliminated by the game. They’re being taken by the monstrous half-human creatures that live in the jungle. The men will be slaughtered. The women will be kept alive as captives. Night is falling, the creatures are coming, and rescue is so far away. 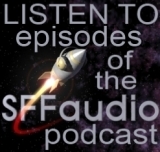 The SFFaudio Podcast #065 – Scott and Jesse and Luke Burrage talk about the latest audiobook releases! A new online retailer called TheAudioBookShop.com is serializing, for FREE, some terrific sounding audiobooks from Audio Realms‘ catalogue of feisty fantastic fiction!